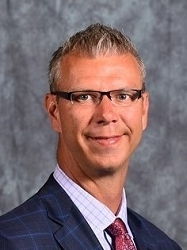 ATHENS � Former Ohio team captain Jeff Boals has been named the men�s basketball coach, the university announced Sunday. A 1995 graduate of Ohio University, Boals has spent the last three years as the head coach at Stony Brook, leading the Seawolves to a 55-41 record. "I am incredibly grateful and honored to return home to my alma mater as the head men's basketball at Ohio University," Boals said in a press release. "My family and I are thrilled to see my coaching career come full circle with this opportunity. Sincere thanks to (President) Dr. (Duane) Nellis and to (Athletic Director) Jim Schaus for their confidence in me to lead the young men of Ohio both on and off the court." 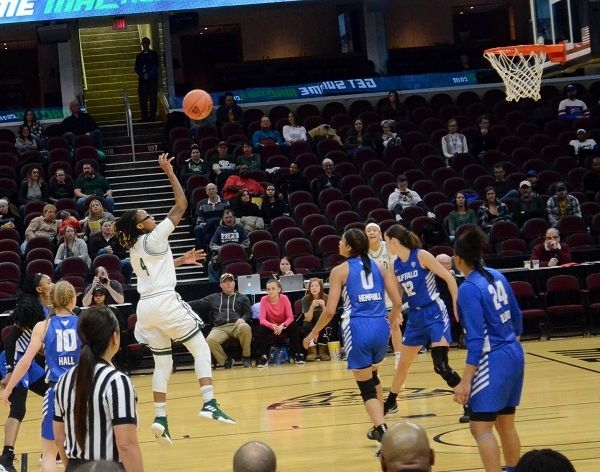 CLEVELAND � Buffalo used a barrage of first-half 3-pointers and pounded the offensive boards throughout to take a 77-61 victory against Ohio in the championship game of the Mid-American Conference women�s basketball tournament Saturday at Quicken Loans Arena. With both teams on the NCAA Tournament bubble, the Bulls clinched their spot for the second straight year while the Bobcats will sweat out the selection show Monday hoping to earn their first spot since winning the MAC in 2015. DeKALB, Ill. � Northern Illinois shot 62.1 percent in the first half � including 8 of 10 from 3-point range � to build a 16-point lead and then coast to a 80-61 victory against Ohio in the first round of the Mid-American Conference Tournament on Monday night at The Convocation Center. The No. 7 seed Huskies (16-16) led 44-28 at halftime and advanced to Cleveland to face No. 2 seed Toledo in the quarterfinals. Eugene German led Northern Illinois with 23 points and five rebounds, Dante Thorpe added 18 points, and Lacey James had 14 points and five rebounds. ATHENS � Ohio closed the game on a 19-6 run and closed out the regular season with a 66-57 victory against Miami on Friday night at The Convo. Miami scored the game�s first seven points, went up by as many as 12 points and led throughout most of the game until Ohio�s strong finish. Jason Carter nearly outscored the RedHawks by himself in the second half, finishing with 21 of his career-high 26 points after the break. Miami finished with just 25 points in the second half. Doug Taylor had 10 points and eight rebounds, and Jason Preston finished with 10 points and seven boards for Ohio (14-16, 6-12 Mid-American Conference). ATHENS � No. 19 Buffalo used a hot-shooting first half to build a lead and then held off Ohio late 82-79 on Tuesday night at The Convo. The Bulls made 11 of 20 3-poitners in the first half to take a 41-35 lead at halftime. They game was not locked up until Gavin Block�s three-quarters court shot at the buzzer missed wide off the backboard. Doug Taylor had a career-high 20 points and six rebounds, while Teyvion Kirk had 17 points, five rebounds and five assists, and Jason Carter finished with 15 points and five rebounds. "You only get so many cracks at a ranked team in the MAC," Ohio coach Saul Phillips. "We had a crack and made a loud out. A loud out." There are 4 other users looking at this page.